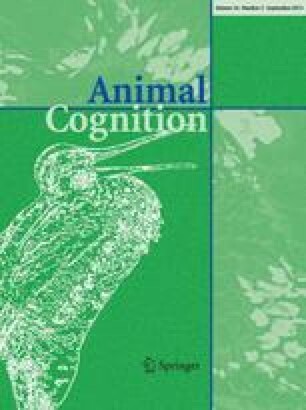 Two sets of experiments are reported that show that the small green bee-eater (Merops orientalis, a small tropical bird) can appreciate what a predator can or cannot see. Bee-eaters avoid entering the nest in the presence of a potential nest predator. In the first set of experiments bee-eaters entered the nest more frequently when the predator was unable to see the nest from its position, as compared to an approximately equidistant position from which the nest could be seen. In the second set of experiments bee-eaters entered the nest more frequently when the predator was looking away from the nest. The angle of gaze from the nest was associated significantly positively with the probability of entering the nest whereas the angle from the bird was not. Birds showed considerable flexibility as well as individual variation in the possible methods of judging the predator's position and direction of gaze.